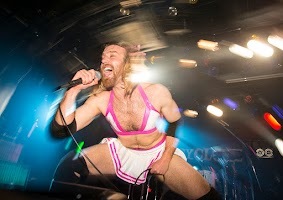 Ladybeard! We’re all looking forward to your return to Hong Kong. We’ve got some questions for you. Do you miss your Hong Kong audiences? How are Hong Kong audiences different from audiences in other places? For example in Japan? LB: Well as everyone who sees live performances in HK knows, HK’s audience are a unique blend of Cantonese people and the HK international community. Those 2 groups often have different cultures and expectations regarding the way a performance is expected to be watched (then there are different cultures and expectations within the international community). All this means that as a performer, it’s difficult to predict the way an HK audience will behave on any given day. HK audiences are definitely unique compared with audiences in other countries, mainly for this unpredictability. The Cantonese component of the audience tends vocally to be very lavish with the applause, which is of course very pleasant for a performer. When was your last show in Hong Kong? How was it? Were you sad to be leaving? Did you think you would ever return? LB: I think my last show in HK was mid 2011, I think. I may be getting my timeline confused and it was actually mid 2012, but I think it was 2011. Either way, it’s been quite a while between HK drinks for me….. I used to love doing shows in HK, and the unpredictability of the audiences, mentioned above, meant that I could rarely make an accurate prediction about how each show would be received. For this upcoming show on Jan 16, once again I’m unsure what to expect from the HK punters. I was sad to leave HK. The city hosted 6 years of my life and went through many ups and downs there, and have many close close friends there. As I was leaving, yes I did hope that I’d be back one day. I didn’t plan exactly when or how I’d return, and now that has been decided by fate. And by Chris B. Thanks so much Underground HK!! What should your Hong Kong audiences expect from this show? LB: Something the likes of which they’ve never seen before! Will you perform Cantonese songs in the coming Hong Kong performance? LB: Well, you’ll have to come to the show to find out! But, considering that audiences outside HK/Macau/Guangzhou aren’t familiar with the Cantonese songs I sing, it’s quite an exciting opportunity for me to do something different from what I usually do. But….. you’ll have to come to the show to find out! What do you miss most about Hong Kong? LB: Lots of things. The convenience of everything being so close and accessible, the 24 hour excitement and stimulation, the kindness of the people of HK, the close-nit nature of the expat community, and the family nature of the underground music scene in HK. And char siu bau. I REALLY miss char siu bau! Will you be wrestling on this trip to Hong Kong? LB: Well, I’m not booked to wrestle a match in HK this time round. So if the HK public wants to see that, they’d best pressure Zero-1 Wrestling HK to bring me back again! Any special message to your fans who will be coming to the Hong Kong show? LB: Firstly, thank you so much for your support! I’m very grateful for this chance to return to HK and perform again. I hope that I can manage to bring some smiles to the fragrant harbour with my performance. To old friends, I look forward to seeing you all again. And to those who I’ll be meeting for the first time on Jan 16, I’m very excited about welcoming you to the world of Ladybeard. Let’s get genki, and Sing, Dance, and DESTROY together!! 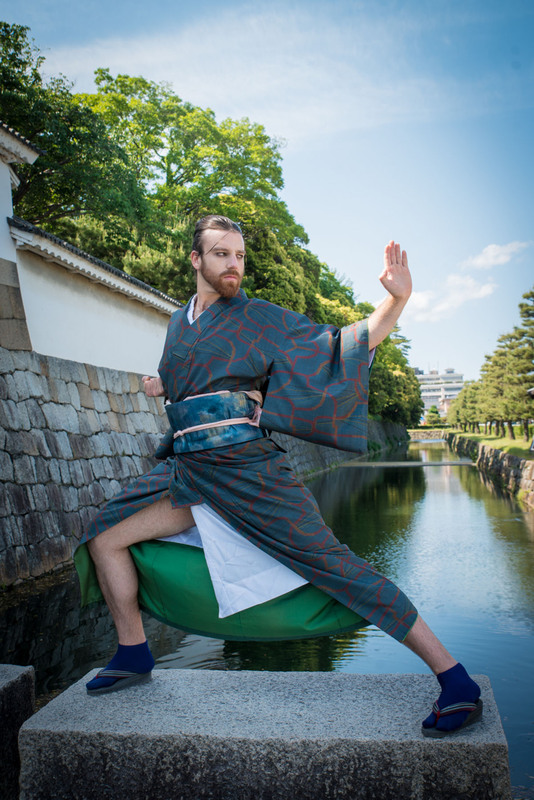 Thanks Ladybeard for answering our questions and we look forward to seeing you on 16th January 2016 at Focal Fair.